Items shown on this page are affiliate links. If you buy through the link, this site will receive a small fee at no cost to you. Need to buy a Secret Santa gift for a Power Tool User? Secret Santa gifts are usually price limited and often expected to be innovative or even quirky (unless you’re buying for the boss!). If you’re being less than adventurous or playing it safe, stick with a mug. 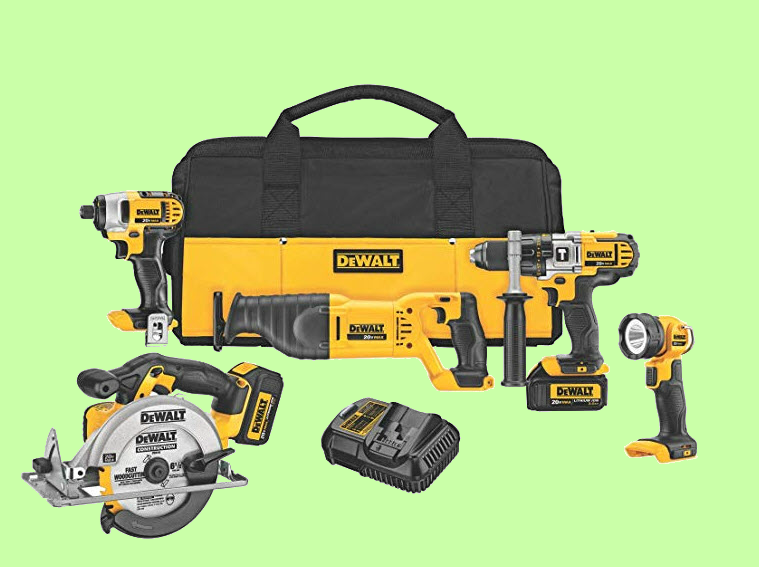 But if the person you’re buying for loves their power tools, then here are some accessories they might enjoy, all costing about $20 or less (a couple are a little more). Secret Santa Gifts For Power Tool Users. Items are NOT shown to scale. 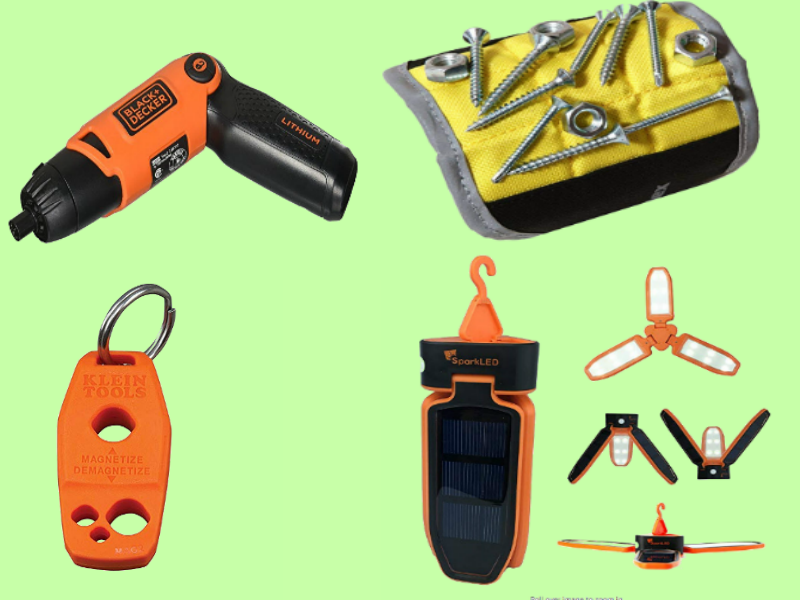 From top left, clockwise, these are: Power Screw Driver, Magnetic Wrist Band, Solar Light and Magnetize / demagnetize keyring. Items are NOT shown to scale. 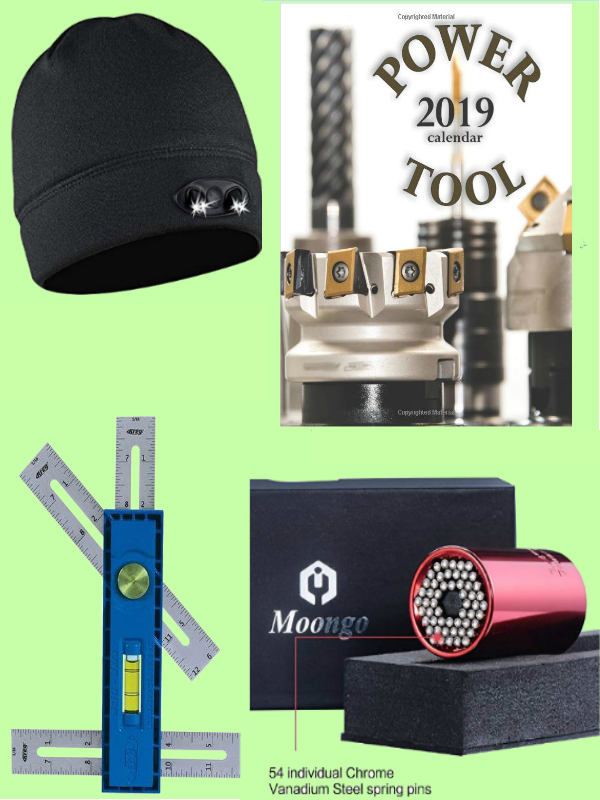 Clockwise from top left are: Light up beanie cap, power tool calendar 2019, universal socket tool and a Kreg multimark measuring tool. 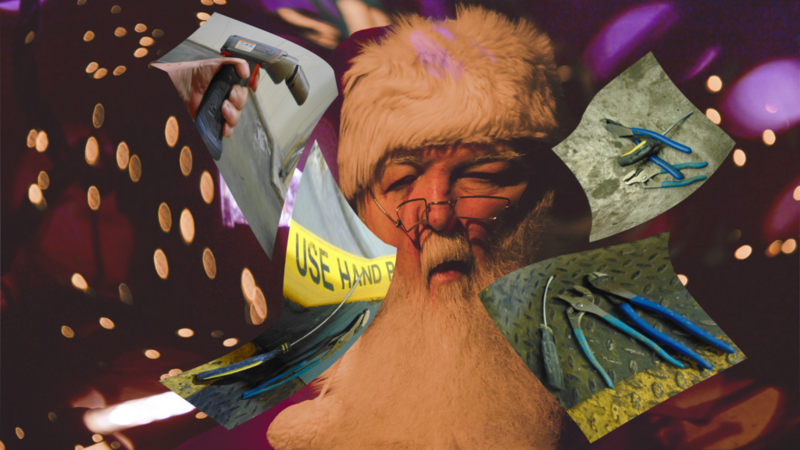 Of course, if you’re buying for yourself, you’re allowed to spend a little more – after all, it IS Christmas!